Nancy C. Andreasen is a neuroscientist and psychiatrist by profession and her specialization is creativity. Over the years, she has had numerous wonderful opportunities to study talented and renowned profiles. Her favorite, understandably, is Kurt Vonnegut – who she describes to be wit, caring, queer and most of all tortured. 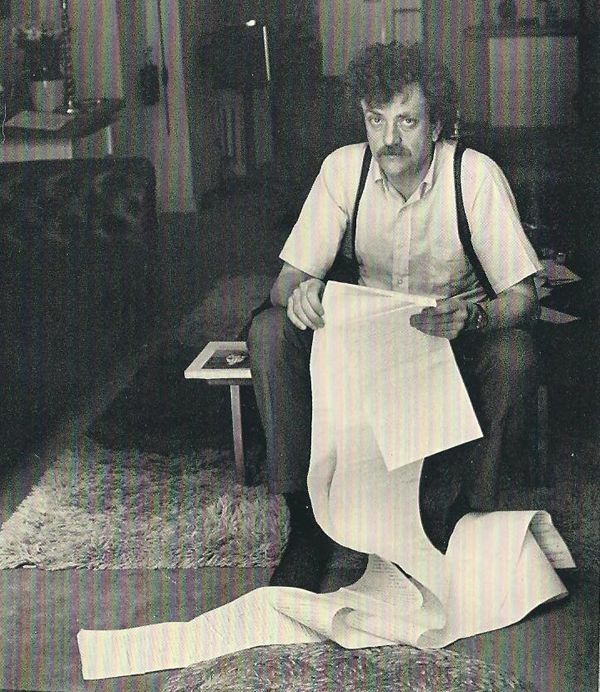 Mr. Vonnegut was a member of the faculty at the Iowa Writer’s Workshop during the 60s and took part in the major study that Nancy studied herself during her time as a psychiatry faculty. Of course, she was studying the relation between mental illness and creative genius and Mr. Vonnegut was the perfect subject matter. He suffered from sporadic bouts of depression and that’s just a start. Kurt’s mother herself was depressed and took her own life on Mother’s Day with Kurt at home on leave from military duty during the Second World War and only 21 years of age. Kurt’s son, Mark, was initially announced to have schizophrenia but later on it was believed that he may have been bipolar. Hints of this can be found in Mark’s writing where he discusses the problems, disorders, drug abuse and job problems he and his family underwent. Nancy found that buried within all the mental illnesses that run through Mr. Vonnegut and his family so too does creativity. His father was a talented architect, his elder brother a skilled inventor and alchemist who had almost 30 patents in his possession. Mark, already mentioned, is a published writer and Kurt’s two daughters are now aspiring visual artists. Last but definitely not least is Mr. Vonnegut himself who needs no description really. Kurt passed away due to causes that were natural. Comparatively, this was a kinder treatment. A tragic and fatal side effect of mental illness is death through suicide and plenty of inspirational people were handed this fate. The list includes Van Gogh, Hemingway, Mark Rothko, Virginia Woolf and many more. Nancy’s intrigue in this relation is installed deep into her double identities as a literary scholar and scientist.